A reputation for reliability and flexibility led to Hochiki Europe fire detection equipment being selected to safeguard the UK's National Blood Service's new Filton Blood Centre near Bristol. The £60 million purpose-built, two-storey facility, is expected to process 600,000 units of blood each year. It is the largest blood processing centre in the world and home to the University of Bristol's MSc in Transfusion and Transplantation Sciences. In addition to training facilities, the new building also houses administrative offices, laboratories, clean rooms and blood product manufacturing areas. A total of 891 Hochiki ESP – Enhanced System Protocol – open-protocol devices were installed by Bristol-based MAT Fire Systems Ltd. They include: 615 optical smoke sensors that incorporate Hochiki's unique Flat Response Technology; 94 analogue addressable, loop-powered beacons that utilise the latest high-intensity LED technology; and 79 manual call points. The Hochiki solution also comprised 75 Input/Output modules for monitoring and controlling ancillary equipment from the loop. The Hochiki devices are linked to three Advanced Electronics fire detection and alarm control panels, one with a two-loop configuration and two with four-loop configurations. Selecting Hochiki's products enabled the MAT Fire Systems installation to incorporate the very latest technological advances in enhanced detection speed and accuracy, and the avoidance of false alarms. For example, Hochiki's ESP analogue addressable open protocol has three features that contribute significantly towards a high immunity to false alarms. It provides what is called full digital transmission for exceptionally secure signalling; it incorporates Hochiki's Checksum error checking to safeguard the integrity of the data and ensure reliably correct communication; and has high immunity from electrical noise, so there are no false alarms due to corruption. To further boost immunity from false alarms, Hochiki also has a suite of false alarm management tools called ARM – which stands for Alarm Reduction Management – within the ESP system. Some elements of ARM are initiated automatically, while others are programmable to satisfy specific site needs. 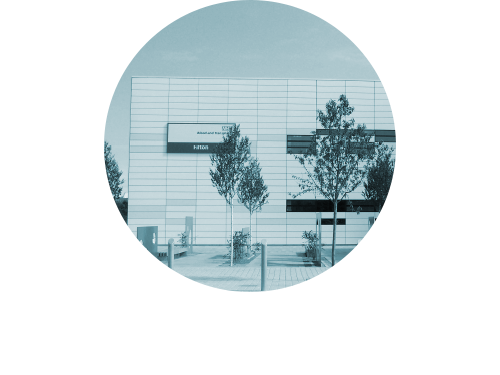 Hochiki Europe (UK) is headquartered in Gillingham, Kent, and has been active in the fire safety market since 1993. It is a subsidiary of the Tokyo-based Hochiki Corporation. The company installed Japan's first public fire alarm in 1920 and developed the world's first addressable manual call point. Today, it is an international business that manufactures more than five million detectors every year, and has the largest fire test laboratory in the world.